Welcome to The Petridis Home Team - Real Estate Market Reports. We will be updating the posts regularly and post the Market Update and Snapshot Reports for our most popular communities. We also have available the Market Report by Community of Active, Pending(Under Contract), and Sold homes for the last six months. We can email you these reports on a monthly basis so you can keep track of your house value as the market continues to heat up. Come back and visit our blog often to get new material and content to help you with your Real Estate needs. We are here to assist you and guide you through the Real Estate Process. Feel free to set up a search and save it so you can get daily, weekly or monthly updates. We will also post useful articles and timely information for Buyers and Sellers. You will find this site very useful and easy to use, whether you are Selling or Purchasing a home in this market. Enjoy and feel free to call us if you have any questions. Looking for a great Short Term Rental Investment opportunity? Well here is! Guarantee Rate on Investment of 10%! The Grove Resort and Spa is offering a great Short Term Vacation Real Estate Investment near Walt Disney World. This new community is located only 5 minutes from Walt Disney World Theme parks. The Grove Resort and Spa is offering a guarantee ROI of 10% through the end of December 31, 2020. 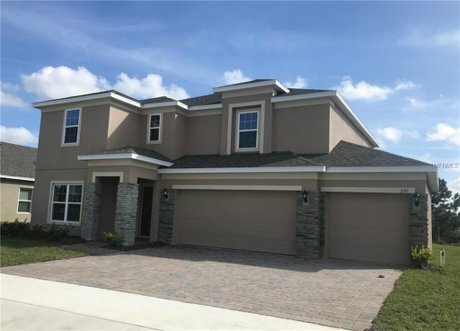 These properties are brand new construction, come fully furnished and offer families a great way to integrate a home purchase in a great resort market next to Walt Disney World Resort. The vacation condos offer a great way for families to purchase and use these homes as a great get away in a fantastic Vacation market. The condos offer an opportunity for a family to offset their carrying costs and generate, produce vacation rental income by renting the homes out to visitors coming down to visit Walt Disney World, Universal Studios and Sea World attractions. These condos beat staying at a hotel and being confined to one room with two beds. The Grove Resort and Spa offers the opportunity for families to purchase various 2 bedroom, 2 bath condos and 3 bedroom, 2 bath or a 3 bedroom, 3 bath homes. Call the Petridis Home Team if you want to see any of these homes, direct at 407-756-3303. Just Listed - 104 Jana Circle, Auburndale FL 33823. Looking for a move in ready home in a great community, well this is the home for you. Nice 55 and over community located in Marianna Park, Auburndale FL. Bright and open floor plan with large kitchen with lots of cabinets with breakfast area. Home offers a large living area and dining area for entertainment. All appliances are included with the sale of this home. New Laminate floors recently installed in the Living room, Dining Room, and Bedrooms. Large master suite with closet and nice size bathroom with stall shower and vanity. Laundry room is inside tucked away in the rear of the home with washer and dryer. Enjoy your outside covered carport and outside patio area. Home includes storage shed and work area. Home was manufactured 2009 Palm Harbor home. Own your own lot, HOA has low $30 fee per month and it includes Boat Ramp and Dock with fishing pier to Lake Mariana. Open Floor Plan with Large Kitchen, Breakfast Area, Laundry area and Slider door to go outside. It includes common area maintenance, clubhouse and shuffle board court. Community offers many activities at the clubhouse, enjoy bingo, pool table, cards, potluck meal and shuffleboard. Do you need Inventory Homes Ready within 60 days, well we have them for you in various locations with a custom builder near Orlaando being built by Hanover Family Builders. All this is included in our inventory homes as a bonus to your clients. Large Price Drop on an inventory, Move-In Ready Home in Davenport. This is a 3 bedroom, 2 bath home with a two car garage and 1,538 sq ft of living space. This home is ready for a quick closing. The home had a price drop of $15,500 and the builder is offering to buy down the interest rate down to 3.99%(buy down on the rate will save you around $50,000 over the life of the loan. ).and will cover all closing costs, a savings of another $8,500. This is a move in ready home! No waiting to have your home buit! Call the Petridis Home Team if you have any interest on this home. This home will not last long! 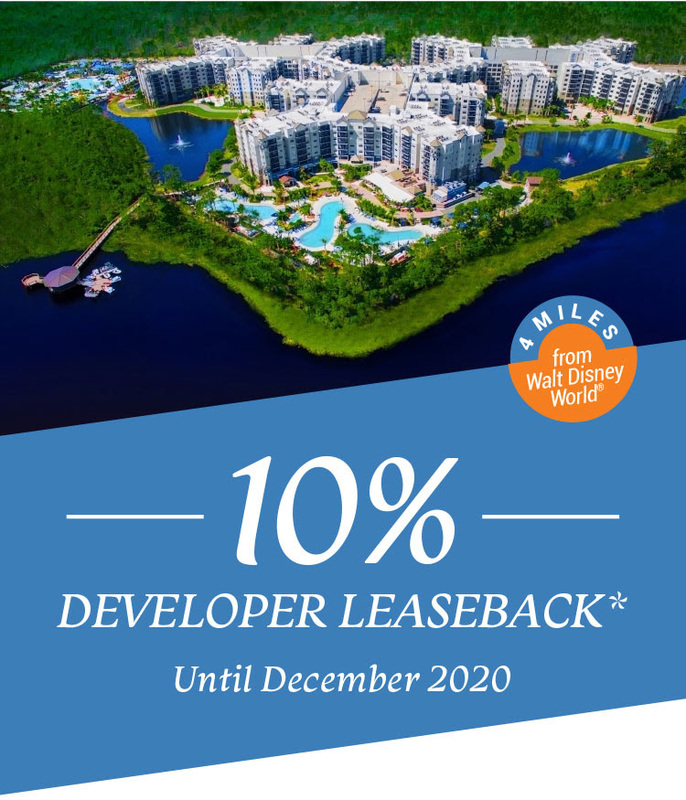 10% Developer Leaseback until December 2020! Looking to purchase a vacation home close to Walt Disney World? Here is a great opportunity to purchase a home to vacation here at Walt Disney World and also use the home as a short term vacation rental! The developer is offering a 10% guarantee return on your investment up to December 2020! 10% ROI on your investment! This condo is brand new construction that comes fully furnished and is only 4 miles to Walt Disney World. This community is a short term rental facility and with the newest Water Park in the area this condo will rent very well and produce a great 10% ROI - Return on Investment. Call the Petridis Home Team to get additional information on this resort. These vacation condos offer a great way for families to purchase and use these homes as a great get away in a fantastic Vacation market. These condos also offer an opportunity for the families to generate and produce vacation rental income by renting the homes out to visitors coming down to Orlando FL to see and visit Walt Disney World, Universal Studios and Sea World attractions. This Grove Resort and Spa Condo location offers the opportunity for families to purchase various 2 bedroom, 2 bath condos and 3 bedroom, 2 bath or a 3 bedroom, 3 bath homes. 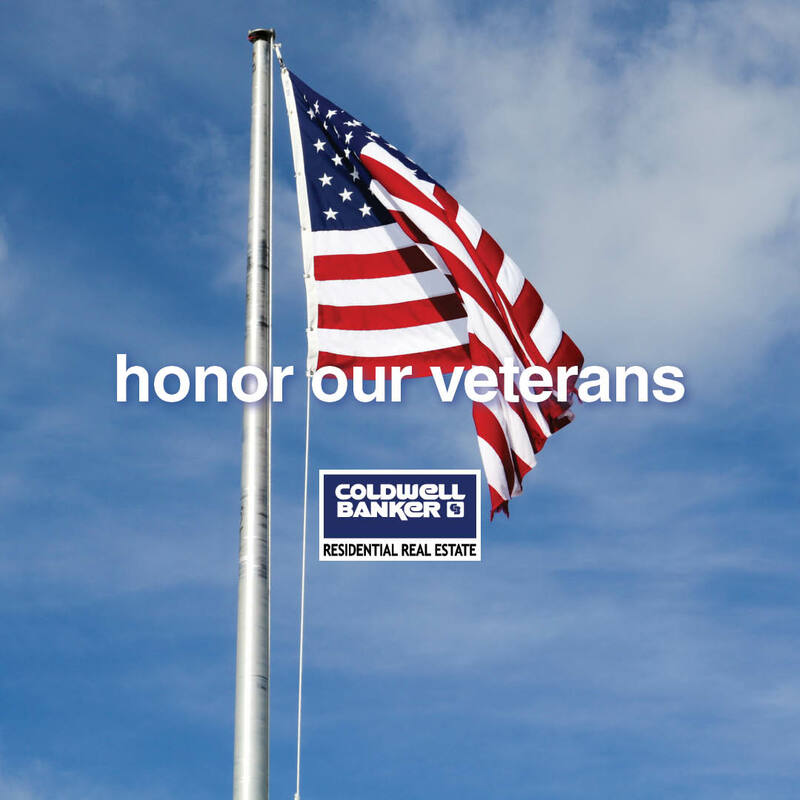 This message goes out to all our Veterans. Are you a Veteran? This weekend we HONOR YOU ! You've shown by example what it truly means to belong to the land of the free and the home of the brave. We often take for granted the very things that most deserve our gratitude. I personally thank you for your service and your sacrifice. I am forever grateful. P.S. Coldwell Banker's affiliated partner Guaranteed Rate Affinity has an exclusive mortgage Offer Just For YOU. They will waive lender fees on their VA Loans. Veterans and current members of the US Armed Forces can save $1290 when they buy with Guaranteed Rate Affinity. Let me know if you would like to be referred to one our loan specialist. 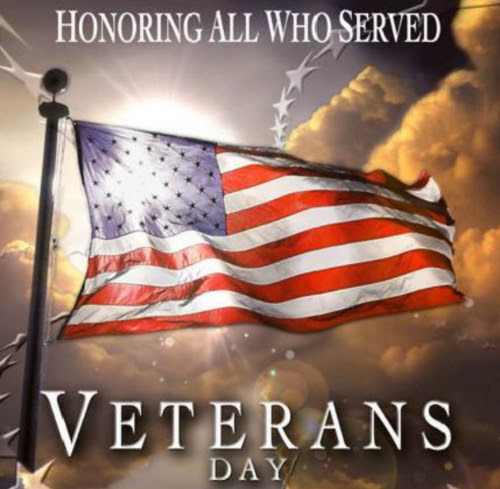 THANK YOU VETERANS FOR YOUR SERVICE ! Call the Petridis Home Team, direct at 407-756-3303 so we can help you connect with our lender. Looking for home ownership but you can not get a loan? Rent to Own Homes is a good way to find a home that you can rent/lease and then purchase when you can get a loan. Relocating to the area and are not sure where to live? Credit worthy but can not obtain a mortgage now? Call the Petridis Home Team at 407-756-3303 or register on our site. Our Home Partner provides responsible households a transparent path to home ownership through its Lease with a Right to Purchase Program for the Orlando FL Market. The program provides three to five years of rent certainty with an initial financial commitment of just one year. This is a legitimate rent-to-own program that can help a customer that can not qualify for a mortgage loan due to prior issues with their credit. You will be able to get into this program if your credit score is above 600 irregardless if you declared bankruptcy or short sale. Below is a summary of the program. * Includes costs such as transfer taxes, attorneys' fees, title insurance, other acquisition costs, etc. * Rent will round to the nearest $10. Right to Purchase Price will round to the nearest $100. The initial term of the Lease is generally one year, and the Lease automatically renews every year as long as the resident is in compliance with the Lease and Right to Purchase Agreement. Each year, the resident has the right to give notice that he/she does not want to renew the Lease for another year. If for any reason the resident decides to leave the home at the end of a Lease term and is in compliance with the Lease, the full security deposit will be returned. The resident's financial commitment is limited to the initial term of the Lease. The resident does not have to renew the Lease after the initial term. The maximum number of years of the Lease is five in most states and three in Texas. Over the life of the Lease, subject to applicable laws, Home Partners expects residents to treat the home as their own, maintain the lawn and garden, remove snow or debris, and complete minor repairs. The resident's Right to Purchase Agreement (and therefore Right to Purchase) is in effect as long as the Lease is in effect, and the resident is in compliance with these two agreements. The Right to Purchase Agreement gives the resident the right to purchase the home from Home Partners at a pre-defined price for each year of the Lease, as long as the resident is in compliance with the Lease and the Right to Purchase Agreements. The maximum number of years a resident can rent the home and have the Right to Purchase is five years in most states and three years in Texas. The Right to Purchase does not obligate the resident to buy the home. The purchase price in your Right to Purchase, as set at the time you enter into the lease, will include an adjustment equal to $2,500 (a “Maintenance Adjustment”). If you choose to purchase the home, and the maintenance costs covered by the Maintenance Adjustment actually incurred by Home Partners during the lease are less than the Maintenance Adjustment, the purchase price of the home at closing will be reduced by the unused amount of the Maintenance Adjustment. The Maintenance Adjustment generally may be used to cover the cost of any repairs, renovations, replacements or improvements to the home that Home Partners determines are necessary or appropriate during your lease term. Examples of the costs for which the Maintenance Adjustment may be used include the replacement of a major mechanical system (e.g., HVAC, furnace, roofing) or the repair of appliances, plumbing or fixtures. Home Partners generally is responsible for costs of home repairs in excess of the Maintenance Adjustment and those excess costs will not increase the purchase price for the home. However, the Maintenance Adjustment does not limit your responsibility for any costs for which you would be responsible under the terms of the lease. Examples of these costs are costs due to your misuse of the home, your willful or negligent conduct, or your failure to comply with the lease. Home Partners may require you to pay these other costs separately in accordance with the terms of your lease. Your rent is not affected by the Maintenance Adjustment, and the Maintenance Adjustment does not affect you unless you purchase the home. For example, if Home Partners pays repair costs of $2,500 during the lease term that are covered by the Maintenance Adjustment, and you choose not to buy the home, you will not be required to reimburse Home Partners for those amounts. Prospective residents will have an opportunity to review all documentation, and Home Partners encourages all prospective residents to consult with legal and tax advisers to review such documents and the transaction prior to signing any documents. Home Partners provides responsible households a transparent path to home ownership through its Lease with a Right to Purchase Program. The program provides three to five years* of rent certainty with an initial financial commitment of just one year.